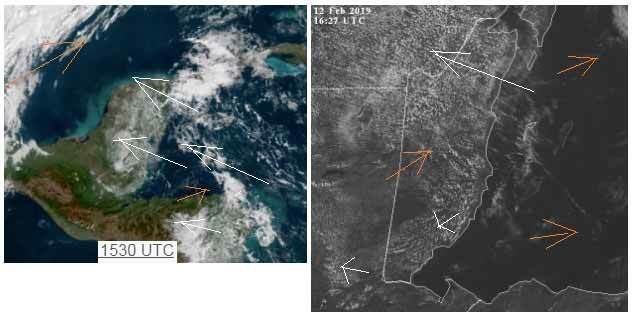 Belize NMS: A moderate easterly to southeasterly airflow prevails. 24-hour forecast: Sunny with a few cloudy spells today and partly cloudy skies tonight. Showers will be isolated with slightly more in the north this morning. General Outlook: Mostly cloudy skies on Wednesday with a few showers, periods of rain and chance of an isolated thunderstorm mainly in the north, decreasing on Wednesday night. Tonight E-SE 10-20 kts Moderate 4-6 ft ISOLATED SHOWERS. Tomorrow W-NW 5-15 kts Moderate 4-6 ft A FEW SHOWERS, PERIODS OF RAIN AND ISOLATED THUNDERSTORMS MAINLY NORTH. Outlook N-NW 5-15 kts Light Chop-Choppy 2-4 ft ISOLATED SHOWERS. Relatively dry air covers most of the Caribbean basin. However, isolated low-topped showers continue across of the basin, mainly over the Leeward Islands, Puerto Rico, and Hispaniola. Recent scatterometer imagery shows moderate to fresh east to northeast winds across southern Caribbean sea south of Jamaica and Hispaniola. Strong to gale force winds are occurring near northern Colombia coast with Gale Warning in effect. For more details about the Gale Warning, please see the Special Feature section above. 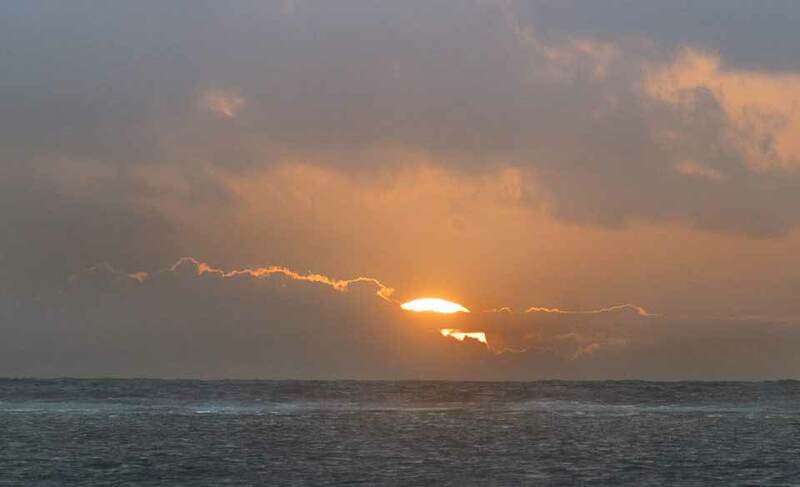 Moderate to fresh trade winds prevail elsewhere over the Caribbean basin. High pressure NE of the area will maintain fresh to strong trades across the entire central Caribbean, pulsing to gale force at night near the coast of Colombia through Tue night. Trade winds will weaken slightly on Wed as an approaching cold front weakens the ridge. The front will stall near the Yucatan Channel early Wed then dissipate. Fresh to strong trades will be confined to the south central Caribbean at the end of the week into the weekend. On Ambergris Caye this morning the wind is from the East at 16 mph making the sea state around our barrier reef moderate. Today's expected high temperature in the upper 80's. Rain went across during the night, mainly parts of central and north Belize, presently little or no rain. the Caribbean clouds are from the SE at present, but there is also a little more of the high level from the SW which contributed to the rain. A bit early, but looks as if today will be mainly sunny, but there is a chance of a few isolated rain showers. Looks as if changes are starting to happen. Presently plenty of sunshine and no rain. Updated satellite view... awesome weather! It looks as if the high level heavy clouds from the Pacific over Texas, is being pushed further south and coming down Mexico and the Gulf. It would appear there is cool air from the north pushing down and round. It looks as if this is already causing the Caribbean winds to move more northwards so coming from the SSE, but out at sea. The high level is causing some ITCZ swellups, one line over southern Belize right now, and is causing significant rain, presently in the mountains. A lot more rain in Mexico, and ITCZ swellups in north Yucatan. 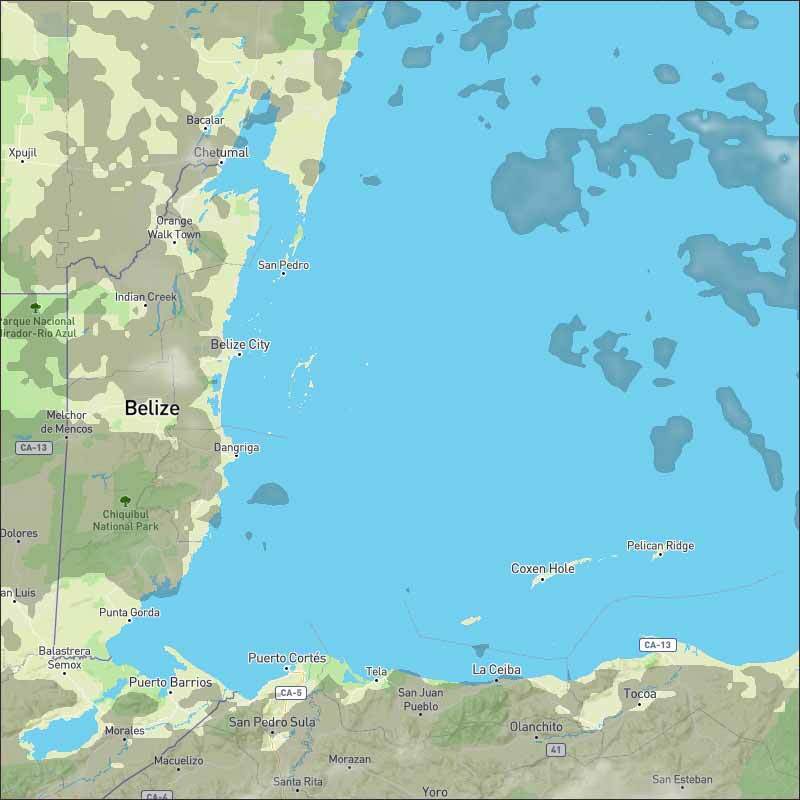 Some of the rain in southern Mexico is right now, coming towards north Belize, probably within the next couple of hours. 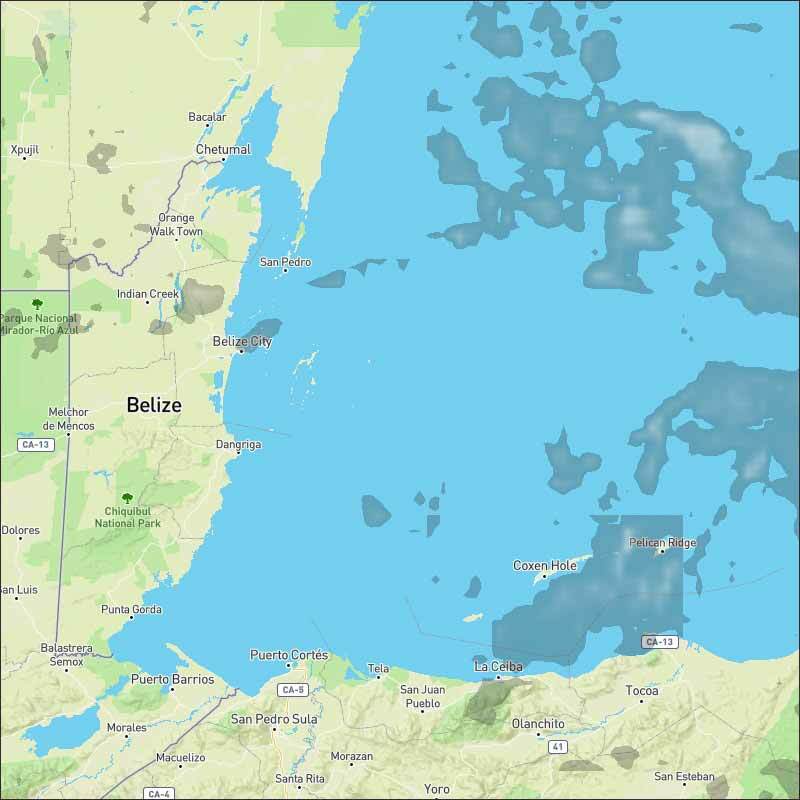 Looks like rain over night to many parts of Belize, and possibly still some rain in the morning. Last edited by Mori; 02/14/19 10:50 AM.